Louis Sachar is an exciting author. He’s not prolific but when he does publish a book it’s always something to shout about. My first Louis Sachar book (and probably his most popular) was Holes, the story of Stanley Yelnats and Camp Green Lake. It totally grabbed me and is still one of my favourite books. Louis’ last book, The Cardturner, was a fascinating book about bridge and family secrets. It’s been 5 years since his last book, so I was very excited to hear about Louis Sachar’s new book, Fuzzy Mud. After reading his previous books and having high expectations I wasn’t disappointed. Tamaya is on a scholarship to the prestigious Woodridge Academy and every day she and seventh-grader Marshall walk to school together. They never go through the woods. And when they arrive at school they stop talking to each other – because Marshall can’t be seen to be friends with a little kid like Tamaya. Especially not with Chad around. Chad-the-bully, who makes Marshall’s life utterly miserable. But today, hoping to avoid Chad, Marshall and Tamaya decide to go through the woods … And what is waiting there for them is strange, sinister and entirely unexpected. The next day, Chad doesn’t turn up at school – no one knows where he is, not even his family. And Tamaya’s arm is covered in a horribly, burning, itchy wound. As two unlikely heroes set out to rescue their bully, the town is about to be turned upside down by the mysterious Fuzzy Mud. Fuzzy Mud is a weird, thrilling, suspenseful story about friendship, bullies and an experiment gone wrong. Louis Sachar keeps you on the edge of your seat as the suspense builds right to the end. It’s slightly creepy and I wasn’t quite sure how it was going to end. Like each of Louis’ books there are several strands to the story. What at first seems like just a school story about fitting in and bullies making life hell, soon becomes a quite different story with far worse problems. The story of Tamaya and Marshall is interspersed by extracts from an inquiry into a place called SunRay Farm, a research facility not far from their school, that was creating an organism that would be used to make a bio-fuel to help save the planet. These extracts show you that their experiments didn’t quite go as planned. When Tamaya discovers the fuzzy mud in the forest when she is helping Marshall escape the school bully, the consequences are disastrous. Could an organism that was designed to help people actually harm or even kill people instead? The book has got one of the coolest covers I’ve seen recently and it is sure to grab the attention of kids. The design of the book is very clever too. I wasn’t quite sure what all the dots at the top of the chapter headings were to start off with but this became clear as I kept reading. I think it’s kind of quirky and a nice touch. Fuzzy Mud would be a great read-aloud for kids aged 10 and up. Not only is it a thrilling story that will keep kids entertained, but it’s also thought-provoking. What would you do if you found a weird substance in the forest? How would you react if the kid who was bullying you suddenly disappeared? 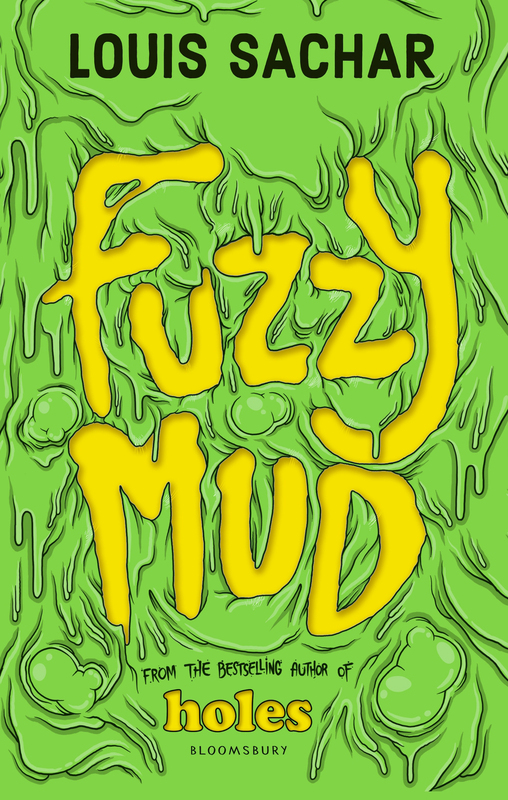 If you love Louis Sachar or just want a book that will keep you on the edge of your seat, grab a copy of Fuzzy Mud now.